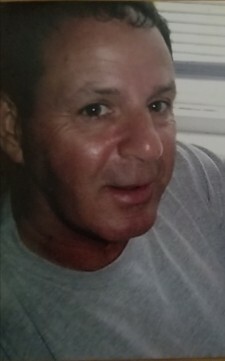 Portland- Daniel Dalphonse 67, of South Portland, passed away on September 25, 2018 at Mercy Hospital. He is a son of Antonio and Elsie (Betts) Dalphonse, Daniel was born in Portland Maine. Daniel was Loved the Celtics and stayed active playing basketball, bike riding and playing with his grandchildren; he also loved spending time at the ocean. He is predeceased by his parents and brother John Philip Dalphonse. Daniel eaves behind his loving family: sons Daniel Dalphonse Jr. and his wife Kelly, and Christopher Dalphonse. He also leaves his siblings; David A Dalphonse, Dennis T. Dalphonse, Douglas R. Dalphonse and Timothy (Timmy) Velk, Donna M. Dalphonse and Laura Velk Derocher. His grandchildren; Sydney B. Berube, Olivia F. Dalphonse, Gage R. Dalphonse, Karysa S.D. Dalphonse, Abigail R. Dalphonse and Isabella R. Dalphonse as well as his great grandchildren; Lily G. Berube and Mason C. Berube. He will be missed greatly by his family and friends. Relatives and friends are invited to attend a celebration of life Barbecue at Daniels residence, 8 Jamestown Court, Portland on October 6, 2018 at 12 p.m.